Wang Food is sub-brand of the large Korean traditional foods exporter, Samjin Globalnet. The company has been promoting Korean food internationally since 1970 and sells a wide range of dumplings under the Wang Foods and brands. A lot of the dumpling choices appear to be vegan, but if their shark fin dumplings are the real thing, then a boycott is probably in order. 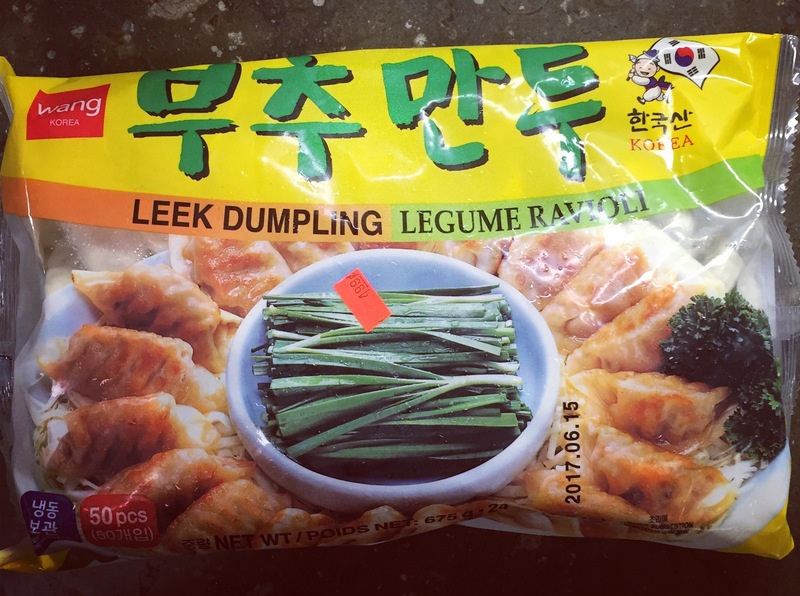 Based on the ingredient list I was expecting that Wang Foods’ Leek Dumpling/Legume Ravioli would be a veggie packed, vegetable dumpling but instead they turned out to be a fake pork with leek gyoza style dumpling. The fake pork was quite convincingly meaty and savory but I was disappointed that I couldn’t really taste the leaks, plus I had been looking forward to leak packed vegetable dumplings not a pork and leek gyoza. If you are looking for a vegan pork and leak gyoza these work quite well, they pan fry up really crispy and come 50 to a bag. 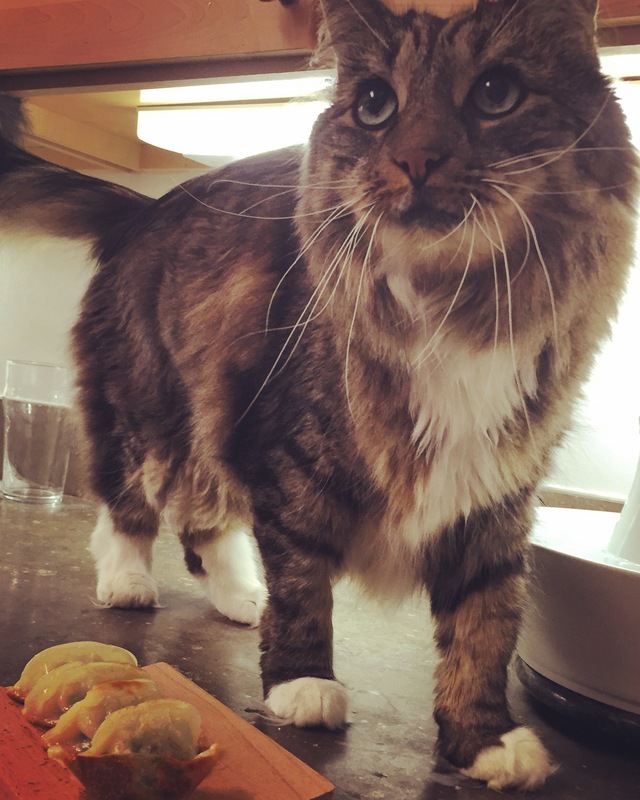 One of the reasons for the three star rating is that these dumplings were really salty, I cooked them up for lunch and I was gasping for water all afternoon long. 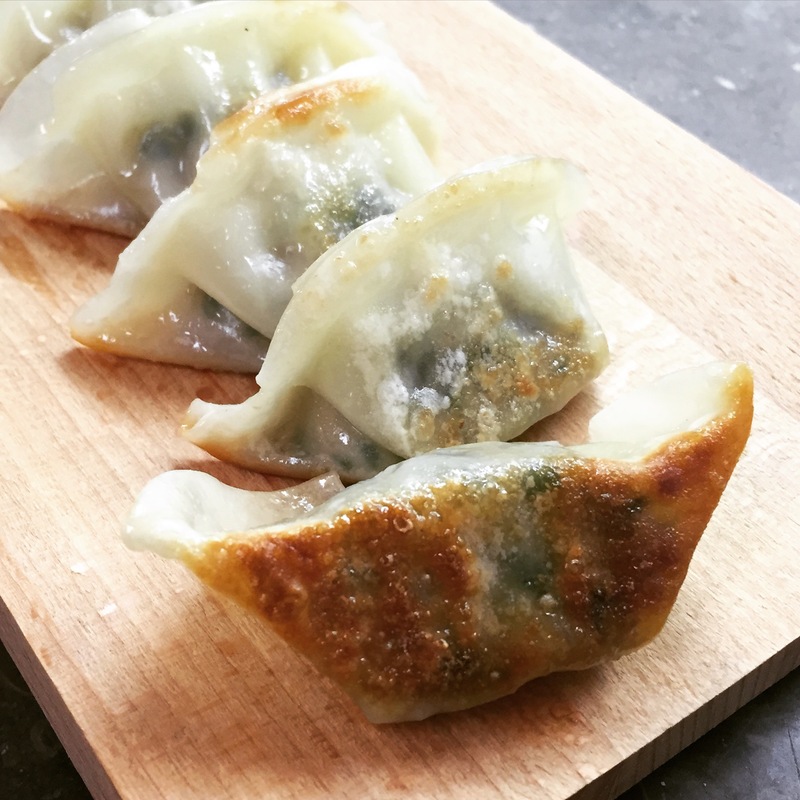 This entry was posted in Frozen Dumpling Review, Gyoza, Potsticker, Vegan, Vegetarian. Bookmark the permalink. Do you know if this dumplings from wangfood are great for vegetarians ? I am vegan and used to love the Wang vegetable dumplings. The ingredients appear totally vegan, but recently I noticed that they contain cholesterol! (Not found in vegan foods). Do you know anything about what’s up? Palm oil and other vegetable oils are sources of cholesterol that could be in vegan foods. So it’s not real pork?